I had actually, genuinely forgotten it was a bank holiday today. I had planned to scoot up the motorway to take some photographs of pretty flowers with a lovely lady at the Clevedon Craft Centre. A plan which I kept of course, I love a good bloom. But it feels like we have been given bonus time. The boys are glued to the new trampoline and I am scribbling notes and to do lists ready for Sammy's Birthday Party this Saturday. Here are my bank holiday weekend discoveries. I love my boys in a bow tie, in fact I think they have around 8 different colours each! 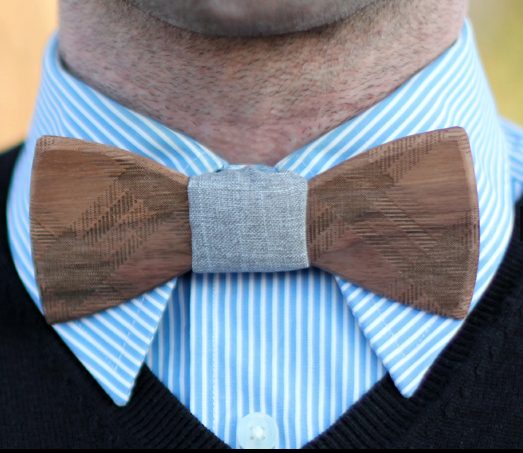 But these grown up wooden versions from Two Guys Bow Ties are amazing! I so wish I could get Rich in one of these! I have been a fan of the Sister's Guild online shop for a while now (I have just got to get this beehive children's bag for my niece) and adore their for Mama collection. I love this grown up tiffin lunch box, I realised I make so many Bento lunches for the boys but I am missing out myself! Another pin to the wish list. Their blog is divine and this week I was transfixed with their Dream Home post which showcased their beautiful house storage range. They had me at mama. I have fallen completely in love with Emily Henderson over the past week. Check out her blog for all sorts of inspiration and my favourite flea market finds posts, where she shares her upcycled wonder like this. Whilst the party planning is seemingly under control at the moment, I can always use some help. I have a little army of helpers arriving at the weekend to assist with the last minute bits and spotted this sweet book online. Ok, so I may need the internet to help translate it as it's all in French but still! It would make a really nice gift to a party loving parent. If you have any failsafe party tips please leave a comment! Finally I want to say a huge thank you for the best week in blogging there could possible be. Not only am I a Finalist in the MAD Blog Awards in September but this week, the Finalists in the National BritMums Brilliance in Blogging Awards were announced. I am over the moon to be a Finalist in the Photo category. Thank you for everyone who voted, especially if you got your other halves to vote as well! The winners are revealed in a ceremony on the 21st June in London. 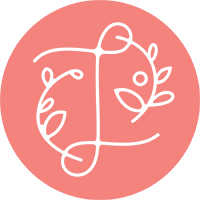 Incredibly, I was also shortlisted as one of 6 blogs in the Loved by Parents Blogger of the Year Award. I keep pinching myself and checking the link as I can't quite believe I am amongst those names. I would love to be in the final 3 so if you fancy taking 30 seconds to vote click here! I am not quite sure how to express how grateful I am but another blog find this week may just do the trick. Check out Oh Joy! for more sweet videos like this.